Trees have an important role in our day to day lives. They play a major role in the oxygen and carbon cycles, prevent soil erosion and provide building materials for our homes. Since trees are this important, maybe we should learn their names. This trees word search contains thirty common names for different trees. 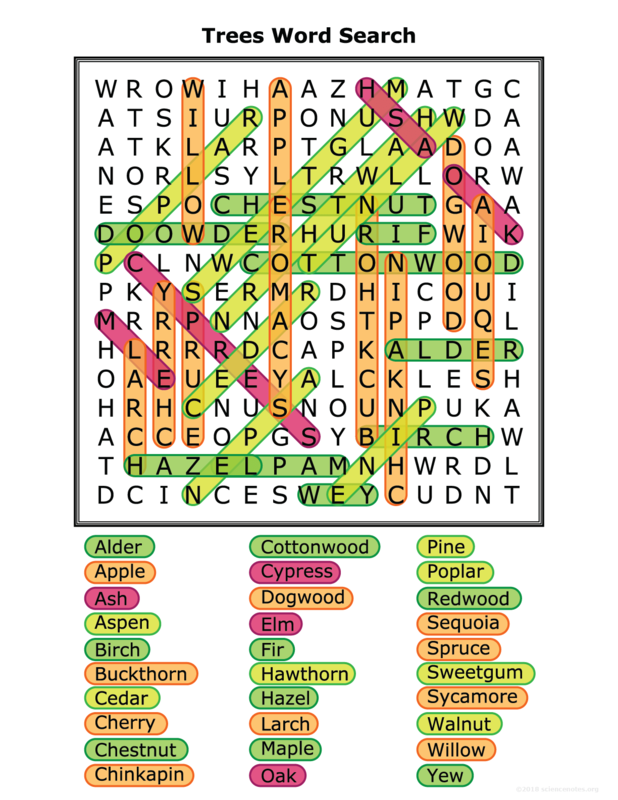 The trees can be found by searching vertically, horizontally, and diagonally. The puzzle is optimized to fit on a standard 8.5″x11″ sheet of paper, but it fits nicely on A4 paper. Use the provided PDF link for the best results. 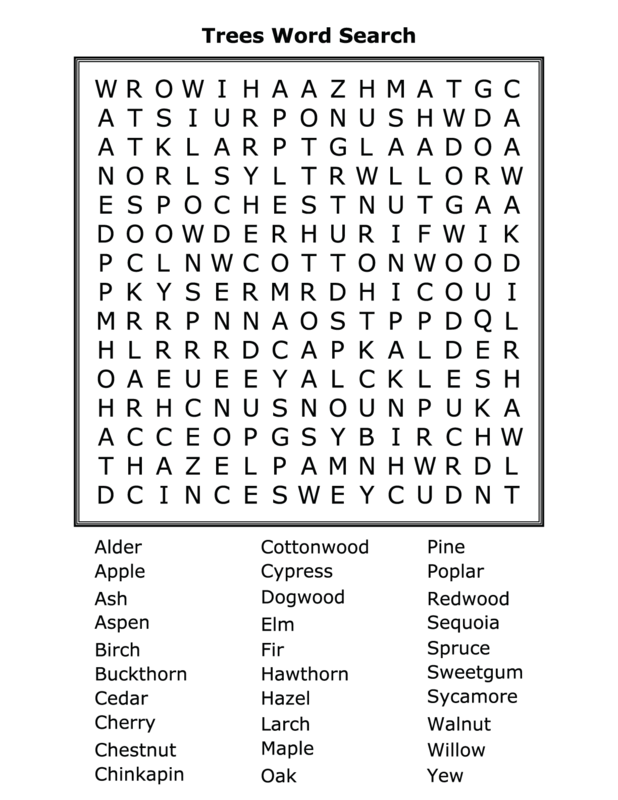 If you need a little help finding one or all of the glossary terms, take a peek at the solved version of the puzzle.